President Poroshenko had built his election campaign around "matching up himself against the Russian president"
KIEV, April 9. /TASS/. The election advertising campaign of incumbent Ukrainian President Pyotr Poroshenko, who is running for a second term in office, is aimed at splitting the country, the leader of the Civil Position Party, Anatoly Gritsenko, said on Tuesday in comments on Poroshenko weaponizing the Russian president for political points. Meanwhile, the sitting president must be the guarantor "of integrity and unity of Ukraine," he wrote on his Facebook account. According to Gritsenko, election billboards where Poroshenko is set against Russian President Vladimir Putin defy those 85% of the people who voted not for the incumbent president but for other candidates in the first round of the election," he said. "This is an insult and disrespect towards those 1,306,450 people who voted for me. You have never seen and will never see my ads with such contents. Elections or not, it is not the office that is important, nor should it be at any cost. The country and its future must be the priority," Gritsenko stressed. He said that Poroshenko had not realized and would never realize this, while his "disgraceful and destructive advertising for the country won’t help him any longer". 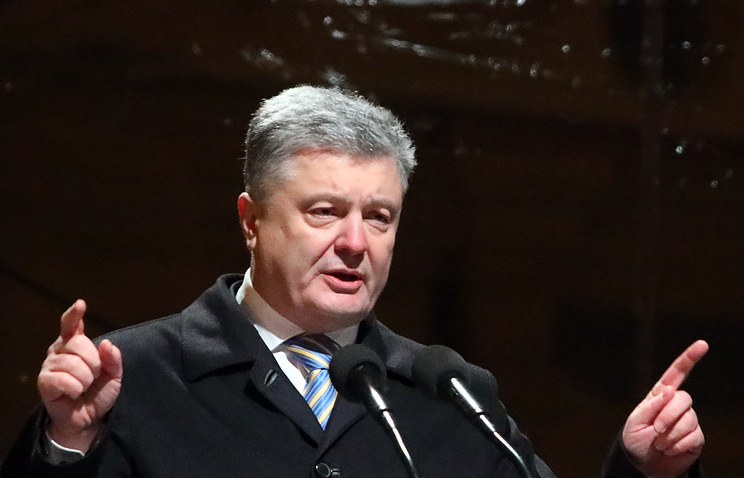 In the run-up to the election’s second round, Poroshenko is disseminating leaflets and plastering images on billboards throughout the streets nationwide showing the two leaders face-to-face with a couple of slogans reading: "April 21. A Crucial Choice" or "April 21. The Choice Is Yours! ".